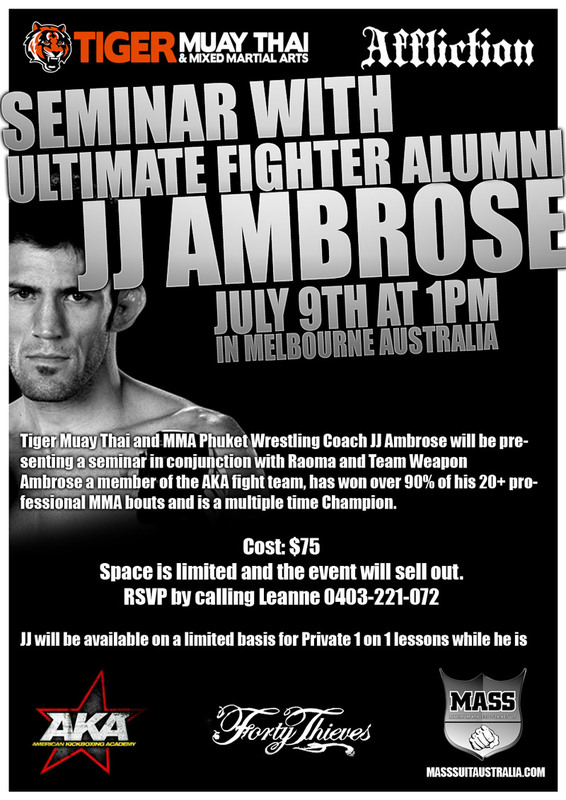 Tiger Muay Thai and MMA Phuket training camp wrestling coach JJ Ambrose will be on loan July 9th, as he gives a special 1 day seminar in Melbourne Australia. 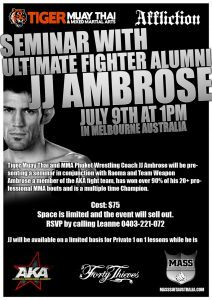 A talented wrestler, JJ Ambrose is a veteran of the Ultimate Fighter Reality TV Show, and Affliction fight promotion. Having fought in over 20 professional MMA bouts, he has a 90+% win ratio, and is a member of the world famous American Kickboxing Academy (AKA). The seminar will start at 1pm, and will cover several aspects of Mixed Martial Arts.